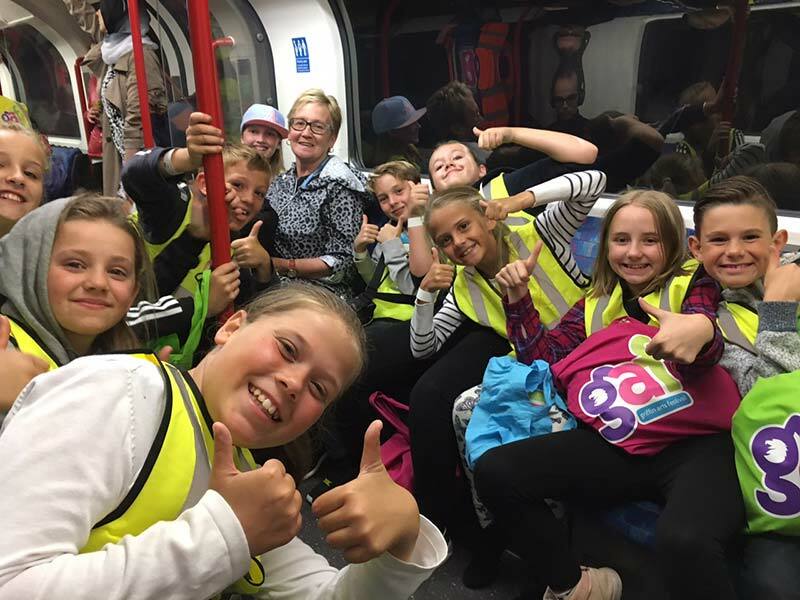 Lordswood School has a rich and creative arts curriculum linked to the Power of Reading scheme and planned curricular and extra-curricular experiences. Lordswood has participated in the Griffin Schools Art Festival over the last 3 years. Year 5 children enter a competition across the Trust, with the winning entries experiencing a residential trip to London. Here the children take part in a timetable of activities, enriching their cultural understanding, visiting museums, art galleries and the theatre, leading up to a showcase event. Two weeks of Arts experiences are timetabled across the school during the Griffin Arts Festival. All children in school benefit from different workshops, experiencing drama, dance and an extensive range of art sessions – photography, sewing, Modroc, painting, modelling, life drawing and collage. In 2016 Lordswood was involved in a Community Arts project with the local fire station where work submitted from children of all ages was displayed outside the new fire station during the building project. Lordswood works closely with the local secondary school and had art work presented in their Summer Art Exhibition. At Lordswood we have extended the opportunity for Drama, taking part in a joint Medway project 2016-17. Children from Year 5 join with two other Griffin Trust Schools and meet one afternoon a week. Children are learning to work together, have fun, improve their confidence as performers, including their vocal and physical skills, develop skills of improvisation and working from a script. They are extending their understanding of theatre, the theatre-making process and how it is used to express ideas. The children will have the opportunity to work with a published playwright Ben Hales, on creating a completely new & original piece of work, with a view to performing it at a variety of venues during the Griffin Arts Festival. All children are involved in annual drama productions and Year 5 and 6 perform an end of year Drama performance. Music plays a key part in the curriculum here at Lordswood with children performing regularly in assemblies and celebration events, Harvest, Christmas, Founders Day, Easter and school productions. KS1 and KS2 children always perform at the annual Music festival held in Chatham Theatre. All KS2 children experience drumming workshops in school and have the opportunity to have lessons in a variety of instruments. Year 4 were involved in a “Wind Festival” for the day at a local theatre. Key children this year are learning to play the trumpet. Dance forms part of our PE curriculum and afterschool extra-curricular provision. Children have the opportunity of performing routines in assemblies and at traditional events, such as the Griffin Arts Festival, Founders Day and the year 6 production. High quality arts education gives children opportunities to express themselves and develop and apply essential skills, such as literacy and linguistic skills. We are committed to delivering the widest range of opportunities for our talented pupils.